Here you can find all the Triumph Heralds we have in the Database. 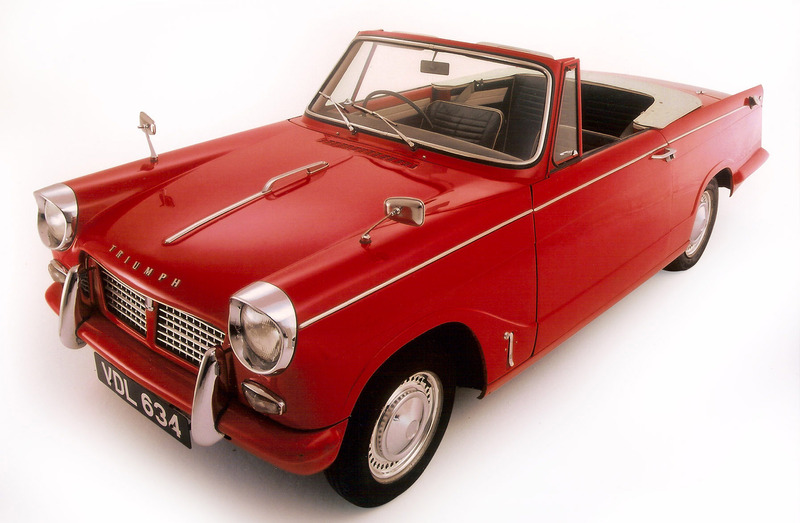 A classic Triumph Herald for your School Prom? 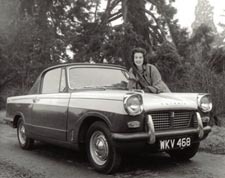 Since triumph-herald.com has started we have had a fantastic response from owners from around the globe, ex employees (and their families) from Standard Triumph and many NEW items of information added, to record the cars introduction. We hope with your help the website will continue to flourish and find out more information in the future; with your help and input. 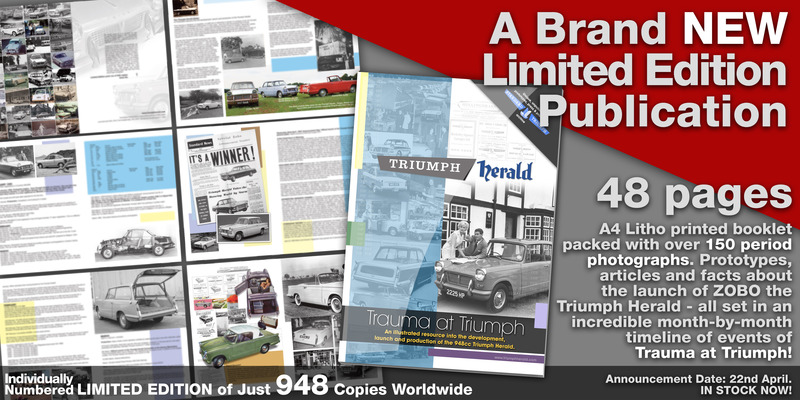 The database needs your help in compiling a listing of all the Triumph Heralds produced. 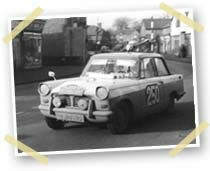 A mammoth task so, we are firstly concentrating on early Triumph Herald 948 examples. If you can help us we'd love for you to get involved - get in touch with any memories, info, photographs of 948cc saloons, coupes or convertibles. 11 cars added with just two surviving - a Saloon in Australia, G57188 and G43558L. 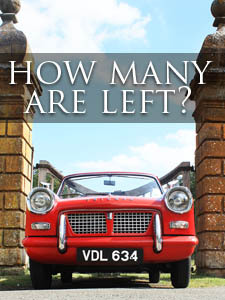 All other cars are period but do include all models including a couple of Herald S saloons 278DOR and 908NKM, coupes AAL504A and AZA250 and a convertible NMT323. Perhaps a second convertible 156AOK. Saloons include TDL147, 349KBH and 66 ELY. Calling all ex-Standard and Triumph employees and their families. 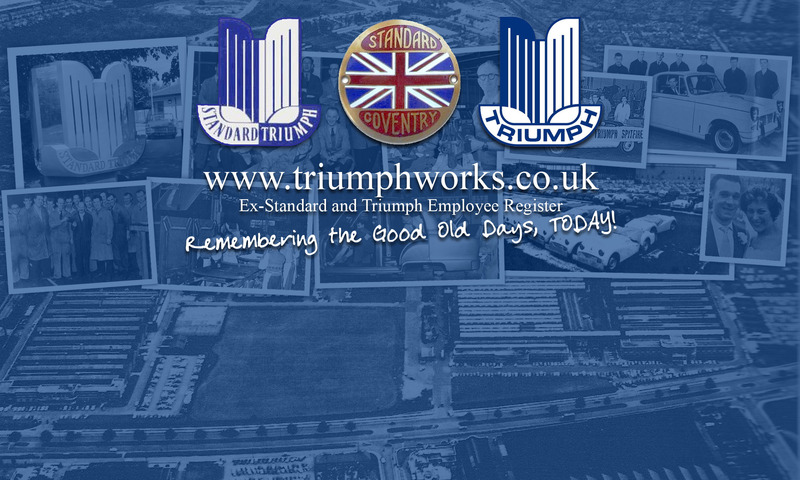 We are hoping to document EVERY employee from the Standard, Triumph and BL factory sites in Coventry. From the very start to the very end - we want to hear from you! Head over to http://www.standardtriumphworks.co.uk and fill in a name, service dates and department. You can even list what you worked on, or any memories you have; you can write as much or as little as you'd like. List your colleagues names too to build the archive. You can post an entry on behalf of a family member too. Make yourself a cuppa and please spend five minutes adding a detail or two. The register hopes to build a lasting archive of all the workers at this great company. Remembering the Good Old Days, Today! More details on the site. Thank you.